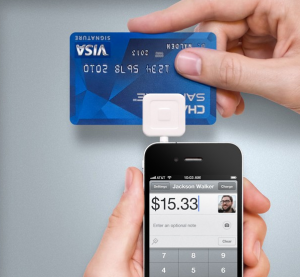 Up until now, Square has only been able to come out with a handful of accessories for devices that use its payment system but with the help of the new “Works With Square” program, third-party manufacturers will finally be able to develop products for the service. Square is still remaining quiet about which manufacturers it will be working with and what sort of accessories will be coming out, but the first accessory has already been unveiled, an iPhone case from Griffin. The Griffin case will not only protect the iPhone from damage but it will also be able to house the card reader and hold it in place when businesses are trying to let someone swipe their credit/debit card. One of the best things about the Griffin partnership is that the case will only cost $19.99, meaning that the service’s future accessories may not be too pricey either. The range of potential products that come about as a result of Works With Square is quite large and no one is fully sure of what to expect from the program. However, now that Square has officially announced the partnership plan, it is likely that we will see a significant amount of accessories come onto the market in 2014. In some ways, Works With Square is similar to Apple’s Made For iPhone program which set in motion a plethora of companies to come out with iPhone accessories. As a result of the program, it is still easier to find cases and other accessories for an iPhone than it is to find products for any other smartphone. Summary: Square has announced the Works With Square program which will finally allow third-party companies to come out with accessories for the Square payment system. The first product to come out of the new program is an iPhone case from Griffin.